Combine the flour, baking powder, baking soda, cocoa and salt stirring together. Set aside. Alternating add the flour mixture with the milk; beating well. Spoon 2 TBSP of white icing into a bowl to use as glue. 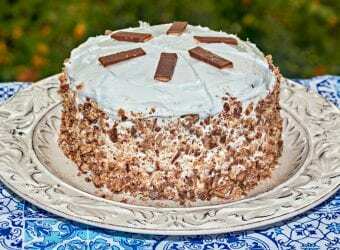 Divide the remaining icing in half. Add several drops of red gel food coloring in the first half of the icing. 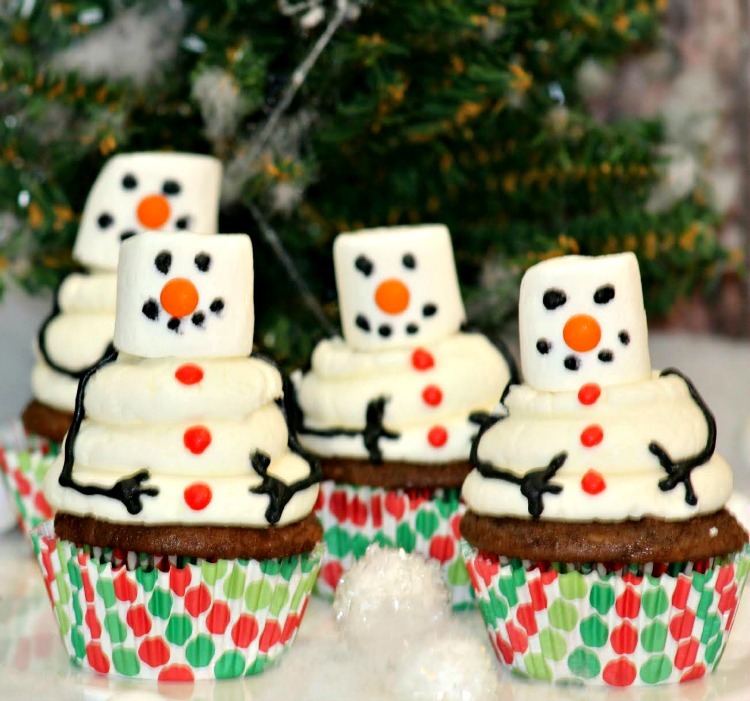 Add several drops of black gel food coloring into of the half icing … stir well to mix the color. Scoop the icing, red, white and black, into piping bags with small tips. Before placing the marshmallow on the cupcake. Using the black icing make two tiny dots for the eyes on the marshmallow. Add the black icing make 5-6 tiny dots in a half circle shape for the mouth. 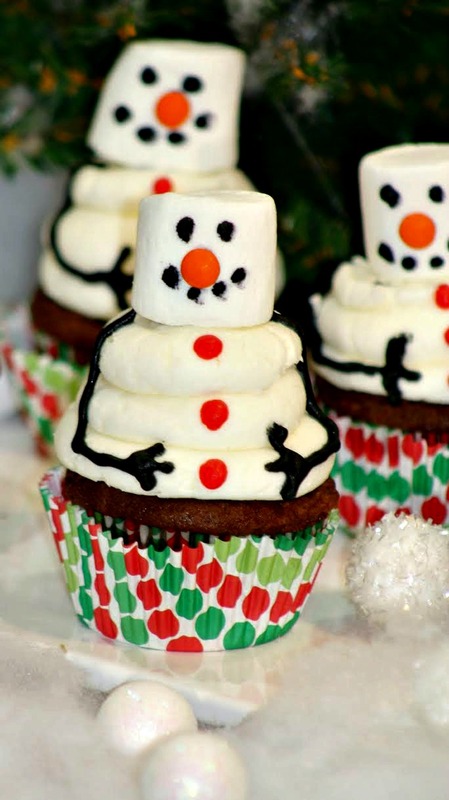 Apply a small dot of the white icing to the center of the marshmallow just below the two tiny black dots for eyes onto the mini orange M&M for the nose of the snowman. 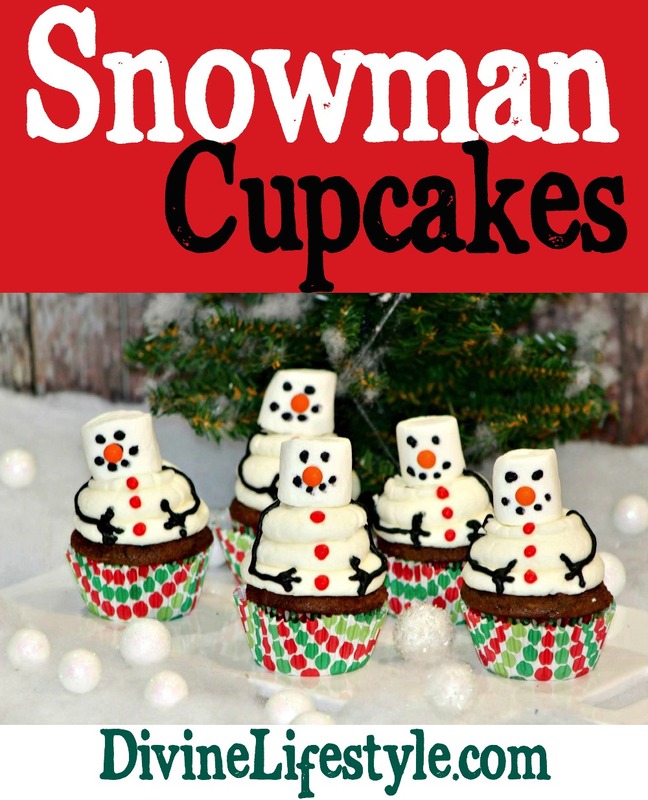 Set the Snowman marshmallow on top of the frosted cupcake. 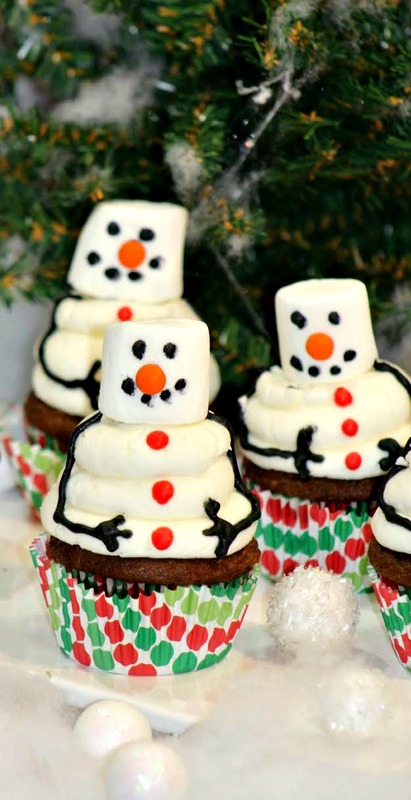 These are so cute and such a fun winter treat!